If you call yourself a symphonic metal fan and you’ve never come across Leaves’ Eyes, then clearly, you live under a rock. Formed by former Theatre of Tragedy vocalist Liv Kristine, Leaves’ Eyes have become an established act known for their fusing of folky elements, crestfallen symphonies and straight up metal. Following their arrival at AFM Records, King of Kings became one of the most anticipated albums within the symphonic metal genre this year. Sweven opens up the track with an almost mournful composition that clearly shows traditional elements of Norse music. The soaring vocals of frontwoman Liv add to the mourning emotion of the song. The title track, King of Kings, marches with a regal use of orchestral compositions, that bolster the ranks of the song while the differing use of vocals – choir, Alexander’s and Liv’s – make the song ever more enchanting. Halvdan the Black lunges forward with a tragic sounding choir and the rune-binding voice of Liv. Alexander’s bestial voice adds a fierce, war-like edge to the song, joining the antagonistic riffs and narrative symphonies. The Waking Eye dances ever so gently with its alluring concoction of different elements, each note more winsome than the last and the vocals sound so sirenic during this track. Feast of the Year acts as a good-natured interval before the more Celtic-orientated waltz that is Vengeance Venom enters the ballroom. The Celtic-styled melodies bring an upbeat atmosphere to the album while the lyrics, poetically sang, appear to be of a darker nature. Sacred Vow has all the makings of a heroic piece: A powerful story involving the love of a fair maiden, a war between clans and awe-inspiring music. Everything just seems to fall together, as though this song was meant to be. Leaves’ Eyes have been known to have guest appearances on their albums in the past, so it comes as no surprise that Edge of Steel features none other than Epica vocalist Simone Simons. The track comes across as an anthem of war, one to be sung by Nordic warriors as they charge into fray armed only with an axe and shield. The orchestral aspects of the song sound quite lion-hearted, adding renewed vigor to the vocals and potency to the already snarling guitars. Simone’s saintly voice cuts through the track like a knife through butter – The duet between herself and Liv Kristine is better than imagined. Haraldskvædi – which appears to be based on the Old Norse poem Hrafnsmal (Raven’s Song) – combines both English and Norwegian lyrics with eerie whispering, low-spirited vocals and traditional folk elements, with flows smoothly from the previous track and into the next song. Blazing Waters also features a special guest, Lindy-Fay Hella, who is best known for her work with Wardruna. The song begins with the alluring sounds of traditional folk instrumentation and hypnotic vocal lines before the guitars and drums jump forward, roaring like Fenrir at Ragnarok. The contrast of three vocalists with the differing elements of folk and metal really shows the adaptability of Leaves’ Eyes both in talent and sound. The album finishes with Swords In Rock, another song that makes a powerful use of Celtic-inspired medleys. The pace and feel of the song makes the listener want to jump up and start dancing some sort of Irish jig, while guzzling whiskey or something of the like from a horn. A fine way to finish the album. With King of Kings, Leaves’ Eyes appear to have gone back to their earlier roots – not just with the Viking inspired lyrics but the folk influences as well though there are a lot of new aspects for the band found in the album as well. King of Kings is a testament to the continuing saga of Leaves’ Eyes as well as their talent and adaptability, clearly they’re a band that won’t stay within the borders of their safe zone when there are new musical lands to be discovered and conquered by these fine warriors. 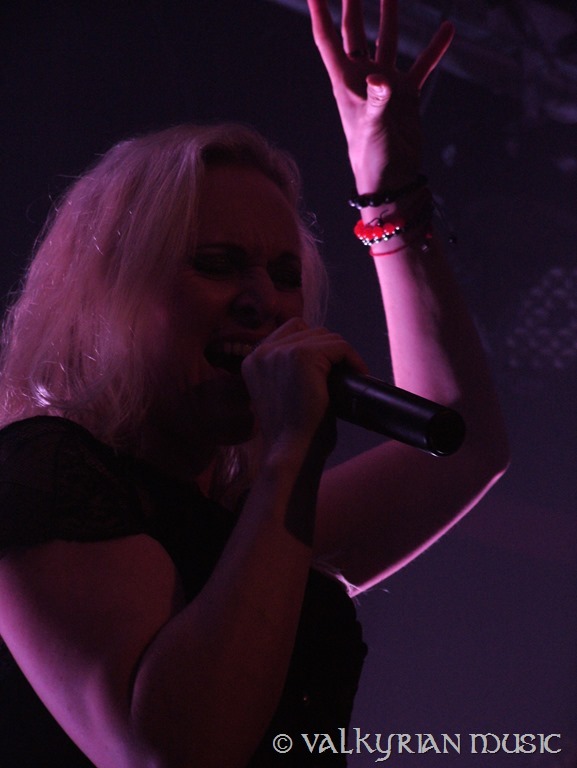 Valkyrian Music editor Nico catches up Leaves’ Eyes vocalist Liv Kristine for a fourth interview, where the two talk about the new Leaves’ Eyes album Symphonies of the Night as well as Liv’s recent collaboration with Savn and keeping to the tradition, a discussion about Game of Thrones as well. Nico: It’s nice to meet you again Liv, how are you doing? Liv: Nice to meet you. I’m very good, how are you? Nico: I’m pretty good, thanks. Liv: That’s good to hear. Nico: First question is a bit of a generic, obvious one: how has the tour gone so far? Liv: Absolutely amazing. We played in Nottingham last night. It was our first time in Nottingham and we had a fully packed venue. It was such a warm welcoming. And Cardiff was great as well. Really really nice. So this was such a nice beginning of 2014. 2013 was so busy, really busy. So being back in the UK is just lovely. Nico: Good to hear. The new album Symphonies of the Night focuses on female figures from both history and literature. How did this concept come about? Because it’s not a concept that is usually found in the metal scene. Nico: It’s an interesting concept. It’s somewhat fresh and new for the metal scene as well, which is good because today there are a lot more females who are becoming fans of metal, whereas back in the ’80 it was more male-oriented. Nico: Obviously now you’ve got more bands with female vocalists showing up on the scene. Obviously you guys in Leaves’ Eyes, Epica, Nightwish et cetera as well as lesser known bands like Aonia, Hell City from Belgium, Azylya from Belgium, Ex Libris from Holland et cetera. While we are on the topic of the new album, how’s the reception been from both the media and the fans? Liv: It’s been fantastic. It feels very comfortable to stand where I’m standing with my band right now, and also last year we had our 10 year anniversary. Before starting to compose new songs, in 2012, we all sat down and talked about what to do and what concept, musical direction and all that. And I just said ok, we have a 10 year anniversary so feel free everybody to let in any influence you would like into music. And that’s what happened: we just went with the creative flow. We’ve been very open minded about this production and I think that was a healthy and sound way to do it. So it feels great and the feedback from both press and fans, friends all over the world has just been fantastic. It sums up all the good things about Leaves’ Eyes. Some journalist said, and to me as well, that it’s the perfect beginning of another 10 years of Leaves’ Eyes. Nico: Personally I enjoyed the new album. It’s something different, compared to previous Leaves’ Eyes albums. Nico: Like Vinland Saga and Njord being more Viking influenced and Symphonies of the Night focuses on something completely different to many people. Folk would be possible, I don’t know if that’s the correct term to use. Liv: Yes I know what you mean. Me and my band members, we saw how the creative process went on and how the album came together. We saw that there was a new direction to it, with many new elements in our music. A new concept, new lyrics and all that. But still, it’s Leaves’ Eyes! That’s the good thing about it! We don’t have to invent ourselves again because I’ve been around for 20 years and the members even longer. Everything is based on experience and love towards music. That’s it. Nico: That’s the way to go. Speaking of Leaves’ Eyes, Leaves’ Eyes and Atrocity have been touring together recently. How did this idea occur? Liv: I think it’s a nice idea, it’s a good idea. Although it’s tough to do double time every night. It’s a lot of work, a lot of sweat. Atrocity’s latest album Okkult is a pure death metal album and I think that’s a very nice contrast in the live program. I enjoy that more than Atrocity playing Work 80 because I don’t think that would fit so well with Leaves’ Eyes. Nico: You’ll be playing the 70,000 tons of Metal festival soon. Are you looking forward to that? Liv: Very much! I’ll be travelling with my whole family so I’m really looking forward to that. Nico: The last two interviews have always ended up with something regarding Game of Thrones, so to stick to tradition: what’s your favourite moment in Game of Thrones? Liv: Oh I can tell you what was not my favourite moment! That was the final scene of the last season: The Red Wedding. I was shocked! Nico: When I read it in the books I was picturing so many different ways that they could do it in the television series and they just completely shocked me. They did it so brilliantly. Nico: Rob Stark is young, a bit arrogant and stuff but they could’ve at least spared him for a little bit longer. Nico: Just for the fun of it, another Game of Thrones question: if you could write a song about any event in the Game of Thrones universe, which one would it be and why? Liv: Oh I would love to write a songs about the wolf pack. The boy seeing through the eyes of the wolf. Nico: I think that would be pretty cool actually. On to the last question. 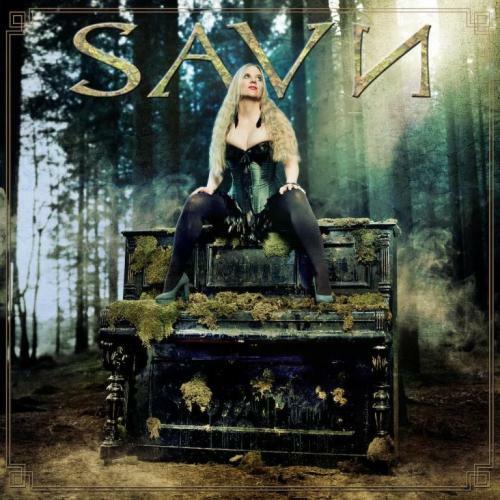 You are appearing on Savn’s debut album, which is making it the first ever collaboration with a band with your sister Carmen. Are you looking forward to it? Liv: I’m really looking forward to it. Carmen had the idea to do a project next to Midnattsol and she gathered some very good musicians: some of them are from Sins of Thy Beloved. They came to Germany to Mastersound studio to record the first album and Carmen joined me for Eileen’s Ardency. I said in return I will join you on a song of your choice. That was a very nice thing. I’m looking forward to the album. It will remind you of the early Theatre of Tragedy days. Nico: I think I speak for a lot of fans of Liv Kristine when I say that we are looking forward to it. Liv: Thank you very much. Nico: You’re welcome. Thank you for your time and I hope you have a good show tonight. Liv: I hope you will enjoy it too! Although it’s pretty cold out tonight, I think we will be sweating since we have a full house. I’m really looking forward to it. Thank you so much for being here. It’s been almost two since Leaves’ Eyes graced the shores of Britain and even longer since Atrocity brought death metal-styled annihilation to the UK. For the UK leg of the tour, London metal band Pythia were added to the line-up as main support, which was an interesting decision but certainly didn’t affect the turn out in Manchester. Atrocity opened up the show with their heavy-than-a-ton-of-bricks song Pandaemonium before the set transited into the snarling riffs of Haunted By Demons. 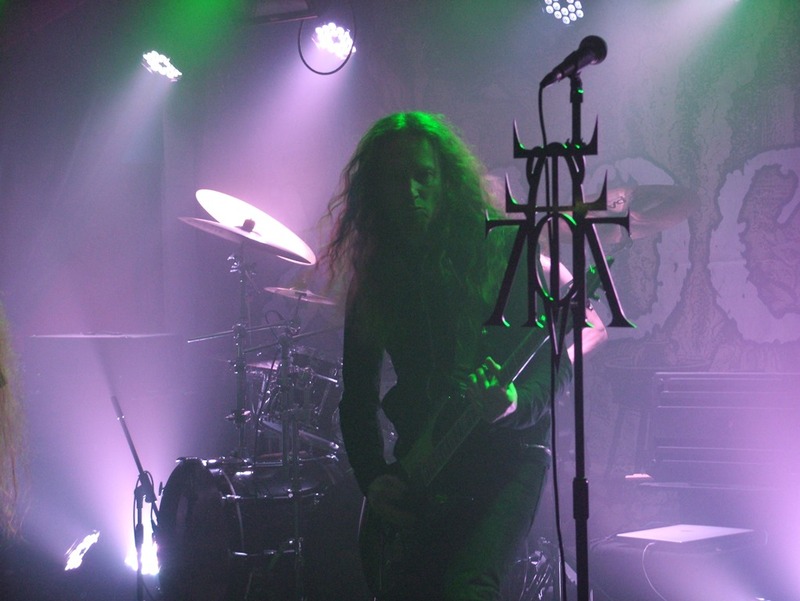 Frontman Alexander Krull worked the crowd as if he was some gigantic puppeteer, influencing the movements and reactions of the crowd with each fierce vocal line and every bang of his head and whip of his hair. The howling guitars and thunderous rhythm sections answered the calls of each other throughout Atrocity’s set, leaving no questions unanswered. For the performance of Satan’s Braut, Alex invited two members of the crowd up onto the stage to dance throughout the song, much to the approval of both the crowd and the band. Death By Metal was the pinnacle of Atrocity’s set however, melding in with the blazing lightshow perfectly. Pythia were the next band on the bill, taking their place as main support. As they appeared on stage, each one looked like a warrior or a hero or something from a fantasy RPG or film. 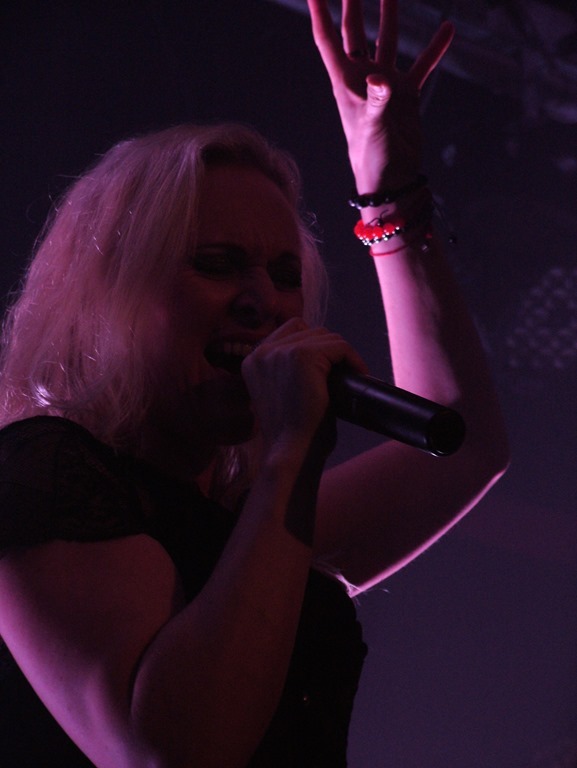 Vocalist Emily, despite technical issues during in the first song, showed her vocal dominance with a barrage of high notes and soprano vocals. The use of programmed keyboards didn’t add to the mystical atmosphere of Pyhtia’s songs but the sweeping riffs, domineering percussion and impressive stage show more than made up for that. The band’s performance of Betray My Heart appeared to go down a treat with those in attendance, both new and old Pythia fans alike. And speaking of fans, the band certainly made some new ones in Manchester. With an enchanting stage presence, Liv Kristine rose onto the stage like a valkyrie, after her band mates had first appeared. Starting up with the catchy tune of Galswintha the band pursued Take The Devil In Me. One thing that was noticeable throughout the performance was the lack of a bassist, though the use of guitars and programming filled that void, working well with Liv’s angelic vocals and Alex’s harsher, bestial styling. The guitars cut through the atmosphere of the show, being heard perfectly from every part of the venue, summoning up their heavy, driving and somewhat hypnotic riffs. Farewell Proud Men made an appearance throughout Leaves’ Eyes’ set, as did Velvet Heart and Frøya’s Theme. 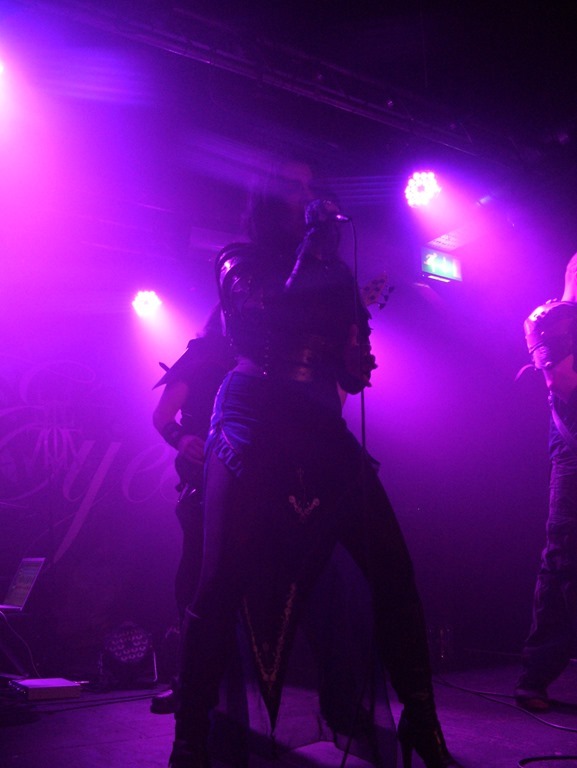 Their Hell To The Heavens sounded darker and heavier live than what it does on the album, showing that Leaves’ Eyes new sound is adaptable for situations including for the live show. Manchester has seen a lot of shows but nothing quite like Leaves’ Eyes, Pythia and Atrocity all under one roof. Epic? No, that’s not quite the word but it will have to do for now.